We've been expecting Android O since the beginning of this year when it was newly announced; and now, here are the confirmed Android smartphones that will be getting the new Android version via OTA (Over-The-Air). As it's always the case, not all Android phones will get the update, but future smartphones like Infinix, Tecno and the rest of them may start coming with this new Android OS. 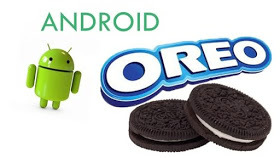 For now, i have gathered the confirmed Android phones that will be getting the update via OTA. Ofcourse, Android O (Oreo) has lots of features that it's coming with. New system UI, system enhancement and more of it. You shouldn't waste a second to update to this new Android version (which is expected to be released mid August this year 2017) if your phone was listed below. Pixel owners is said to be the first to receive the update. What Android Phones will be Getting Android O Update? Well, according to speculations, here are the devices that will be getting Android 0 update via OTA. Nexus 6P, Nexus 5X — Google's former flagship phones will likely begin receiving Android O after the Pixels, but should be running it well before the year ends. Galaxy Note 8: May like come with Android O out of the box… worst scenarios, Jan – Feb 18. HMD promised that Nokia 3, 5 & 6 will be getting Android O but there are not projected time for it. LG V30, LG G6, LG V20 and LG G5: hearsay suggested that this versions of LG may likely get Android O early 2018. We hope to see future phones running on Android O OS. Meanwhile, was your phone listed above? They did infinix dirty. 😢 uhnn..